Tina Rasmussen, Ph.D., learned to meditate at the age of 13 and has been meditating for over 30 years. She was ordained as a Theravada Buddhist nun by Ven. Pa Auk Sayadaw of Burma, who also authorized her to teach. 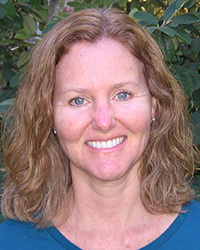 Tina is the co-author of Practicing the Jhanas, as well as several books on human potential. Tina works with students worldwide.